The probable publication of classified parts of a 2002 congressional report into the 9/11 attacks will clear Saudi Arabia of any responsibility, CIA chief John Brennan has said. Keeping 28 pages of the report secret has sparked speculation that the attack had received official Saudi support. 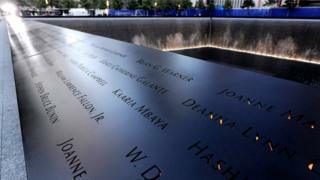 The classified pages are also central to a dispute over whether the families of 9/11 victims should be able to sue the Saudi government. Saudi Arabia denies any involvement. Fifteen out of the 19 hijackers in 2001 were Saudi citizens. How strained are US-Saudi relations? Former senator Bob Graham, who headed the Senate intelligence committee that compiled the classified report in 2002, has said that Saudi officials did provide assistance to the 9/11 hijackers. But Mr Brennan said this was not the case. “So these 28 pages I believe are going to come out and I think it’s good that they come out. People shouldn’t take them as evidence of Saudi complicity in the attacks,” Mr Brennan said in an interview with Saudi-owned Arabiya TV. Mr Brennan also described the 28-page section of the 2002 report as merely a “preliminary review”. “The 9/11 commission looked very thoroughly at these allegations of Saudi involvement… their conclusion was that there was no evidence to indicate that the Saudi government as an institution or senior Saudi officials individually had supported the 9/11 attacks,” he said. In May, a bill to allow Americans to sue Saudi Arabia over the attacks, in which nearly 3,000 people died, was passed by the Senate and now moves to the House of Representatives. Saudi Arabia’s foreign minister has warned that the move could cause his government to withdraw US investments. Mr Graham has said that the White House would decide whether to release the classified pages this month.